Silvia Geyer uses her experience riding and training in Germany and Austria to bring horses along with a focus on the classical training method. Her priority is making sure each horse is as versatile as possible and continues to stay happy throughout the training process. 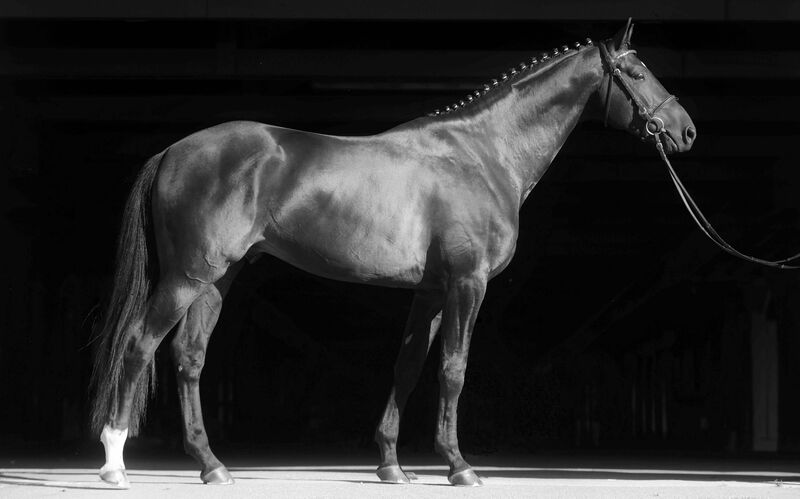 Ehrentanz KD *Pb* is a premium Trakehner Stallion by E.H. Hirtentanz *E*. He has proven a talented and trainable horse in the jumper and dressage arenas. As a 7 year old, he was very competitive in the 1.30m jumpers and qualified for the Young Horse Jumper Finals in Kentucky two years in a row. KD proudly presents several exceptional sport horses for sale. Our Sale Horses range from talented young horses recently started under saddle by our exceptional trainer to accomplished athletes with experience in dressage, hunter/jumper, and eventing disciplines. Sylvia has been starting our young Hanoverian mares for several years. She always has the horses best interest in mind, and treats them fairly yet earns their respect, while building their confidence. I really appreciate her varying the work and keeping their minds fresh and interested. With Sylvia’s training and riding skills our mares have been the top 3 year olds in the country with the AHS Inspection and Mare Performance Test for the past 3 years!